We've done Munchkin Silver Pieces for several years now, and the response has always been "Shiny!" This Christmas, we've tried something a little different. Now, don't worry: the usual Munchkin 2010 Silver Piece will be available through the normal channels next month. 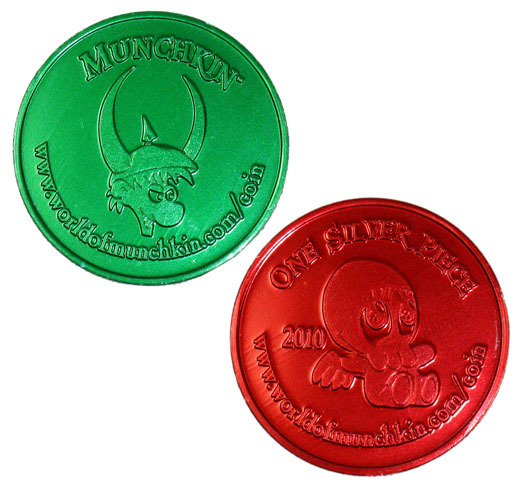 But for those who want to get a head start, we offer the Munchkin Christmas Coins.